Headaches are common, but they're not normal. By finding the cause of your pain, chiropractic care can give you natural relief to a discomfort that disrupts your life and often makes everyday tasks unbearable. What causes headaches? 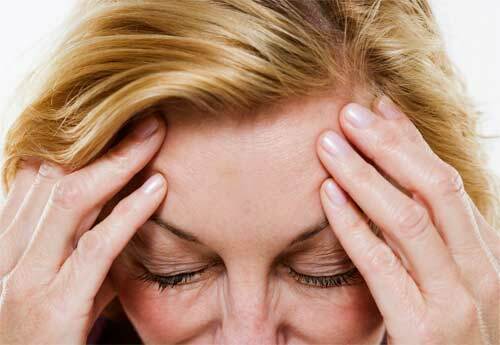 There are many causes of headaches. These include physical or emotional trauma, emotional stress, chemical toxins, problems in the pelvis and lower back, and a malfunction in the upper spinal bones in the neck, affecting nerves, muscles and blood supply to the head. Is there any danger in taking drugs for my headaches? Yes. Powerful drugs numb the nervous system so pain doesn't register, and can cause adverse effects on the stomach, liver and kidneys. Although a quick relief to the pain, drugs provide only a short-term solution to the problem. Worse, they don't correct the underlying cause of the headache, which in some situations can be a signal of a more serious illness and life-threatening problem. Can chiropractic help the pain go away? Yes, many times it can. Your chiropractic doctor will examine you, pinpoint the cause of your pain and determine if chiropractic will alleviate your discomfort. If you are a good chiropractic candidate, your care will consist of a schedule of chiropractic adjustments to help normalize spinal function, restore essential spinal curves, improve circulation, and reduce nerve irritation. If a cause cannot be determined, we can refer you to other caregivers who may be able to help.